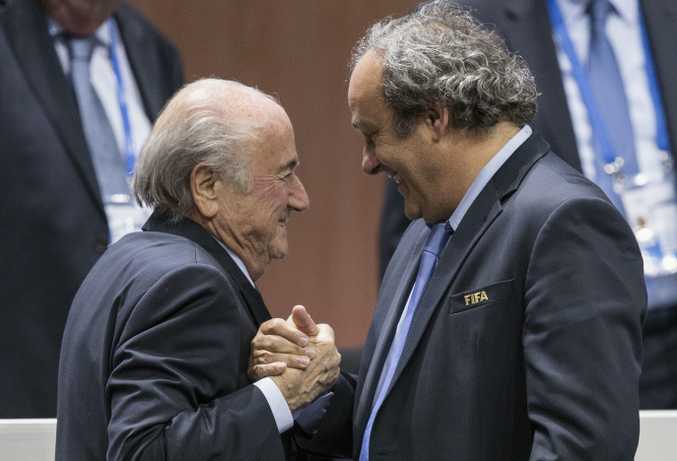 Outgoing .... FIFA president Sepp Blatter is greeted by UEFA President Michel Platini, right. TOMORROW we will officially have a Sepp Blatter-free zone at FIFA, but just who will take football's governing body into the next few years and how do they get the organisation back on track? Blatter has just had his eight-year suspension relating to bribery and corruption reduced to six by FIFA's appeal committee, but it found the Swiss businessman, who was FIFA president for 18 years, still guilty of ethics breaches. Former UEFA chief Michel Platini also had his eight-year ban reduced to six. Both indicated they would appeal to the Court of Arbitration for Sport to get the ban overturned completely, but we will have a new FIFA president installed by then, with the vote taking place in Zurich tonight. Make no mistake, the next 24 hours are crucial to the future of the world game. 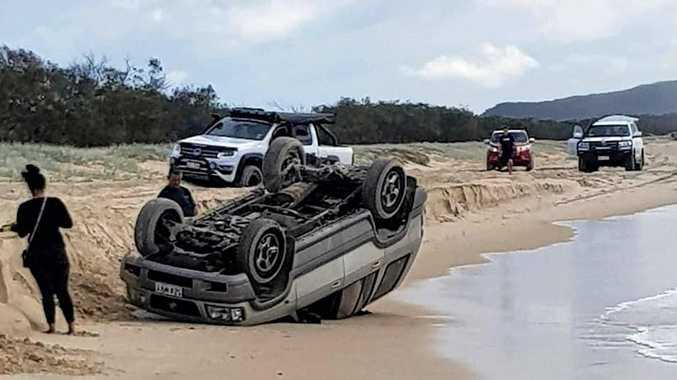 The past nine months have been filled with accusations and suspensions after years of abuse of power was revealed by whistleblowers, before authorities finally took action. To say that FIFA needs a fresh start is an understatement. 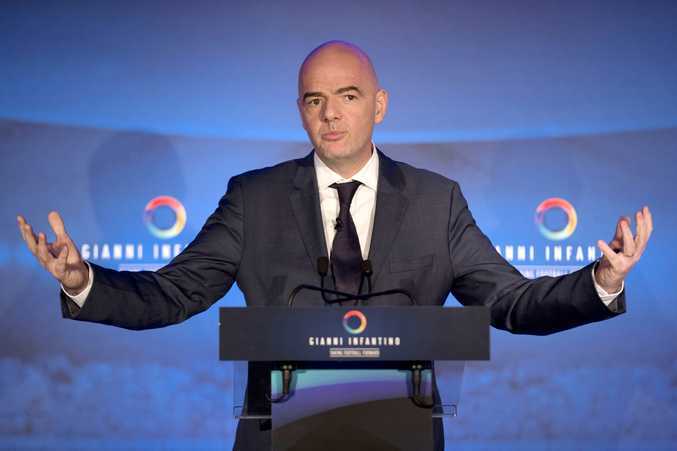 A leading candidate to replace Blatter, Gianni Infantino, said on Monday: "This coming week is the most significant in FIFA's 112-year history." Infantino, the secretary general of UEFA, is one of five candidates to replace Blatter. Chances: Has already been publicly backed by the Scottish Football Association and is probably the favourite to succeed Blatter. "If elected I would lead that change in partnership with all who want to see a FIFA worthy of governing the world's number one sport with dignity and respect," he said this week. Chances: The mining tycoon and anti-apartheid campaigner has his backers, but appears to be an outsider. He likened tonight's vote to electing a Pope, saying: "It's like the Vatican, you never know what will come out." Chances: Hussein failed in a late bid to have the vote delayed, suggesting he might not have the backing to secure the top job. In his favour is the fact he was a former FIFA vice-president, but he seems to have fallen down the pecking order. Chances: I would not suggest that Champagne is guilty by association, but you would have to say that someone who was once employed as an advisor to Blatter for 11 years would not necessarily be the right man to take over from his former boss. An unlikely successor, I would suggest, but we are talking about FIFA after all. Chances: The Asian Football Confederation president and FIFA vice-president has a lot going for him and is ranked as a favourite for the presidency alongside Infantino. If he did get the job it would be a good choice as far as Australia was concerned.